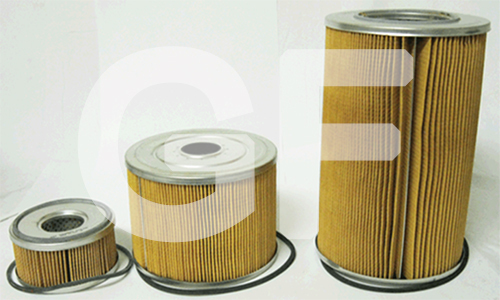 Many existing fuel filters aren’t designed to remove significant amounts of water. They are designed to do their job in a single step. 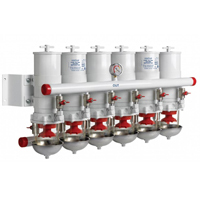 This means they must be porous enough to allow sufficient flow volume, which limits filtering ability. Any tighter media would result in frequent element changes. The DAHL system takes care of those shortcomings. 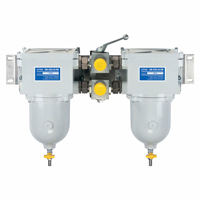 DAHL’s functional dual-chamber 3-stage diesel fuel filter/water separators provide efficient suction side water separation and contaminant filtration. The key is the unique DAHL patented depressurizer cone, which spreads the flow of the fuel. With more area to flow over, greater separation of water and dirt from the fuel is achieved. 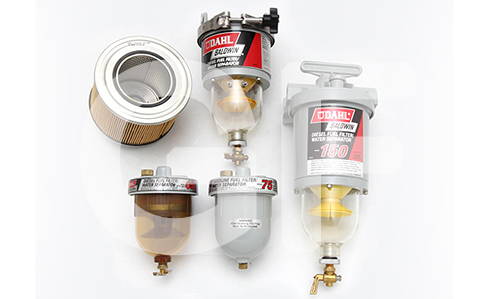 DAHL fuel filter/water separators have less mechanical flow resistance than other separators, because the fuel changes direction only twice. 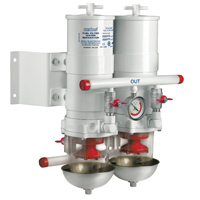 The DAHL unit removes virtually 100% of the water and most of the contaminants from the fuel. 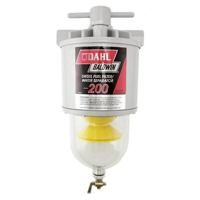 The DAHL system eliminates water from fuel before reaching the fuel pump and injectors. 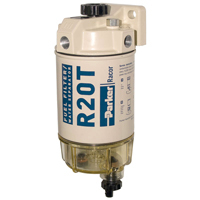 This prevents the major cause of diesel fuel injection system failure. 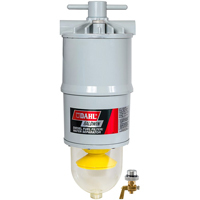 A DAHL fuel filter/water separator prolongs system life by eliminating pump and injector overhauls caused by water contaminated fuel. The cost of shop labor alone, just to repair the injection system on a 6-cylinder rig, exceeds the cost of the DAHL diesel fuel filter/water separator. 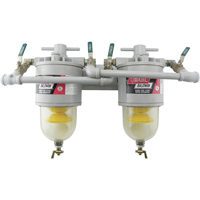 The installation of a DAHL unit reduces the need to repair the fuel pump and/or injectors that could easily tie up equipment for one or two days. 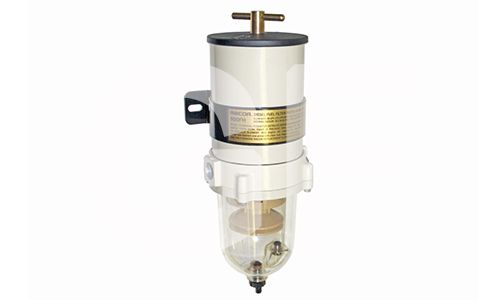 The loss of income in just a few hours of equipment downtime again would pay for a DAHL diesel fuel filter/water separator. Most of the solid contaminants are separated by the patented depressurizer cone in the bowl before reaching the filter element. 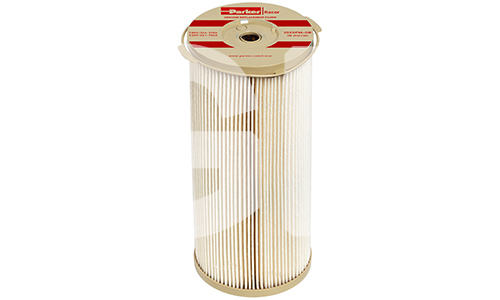 Another factor resulting in less frequent changes is the extra paper in the filter element. Under normal conditions, the element can last up to 40,000 miles. With proven performance in the laboratory and in millions of miles/hours of commercial and industrial operation, you can be sure that each DAHL unit is designed right, built right and does its job right.